With over three decades of experience, Euronext Indices has developped a wide range of indices that provide investors and issuers with benchmarks necessary to measure and trade the performance of key segments and strategies throughout the world. 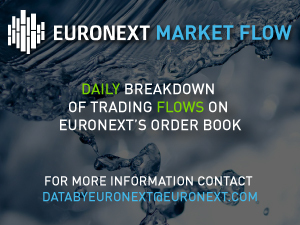 Euronext Indices manages hundreds of indices around the globe including blue-chip, national, regional, sector, strategy and thematic indices. In addition to the Euronext indices, we also operate a large number of third party and partner indices. For more information, please visit one of our product segments below..
A full range of indices representing national flagship indices, as well as other countries and regions. Benchmark the performance of stocks grouped by specific market sectors or industries. Benchmarks and market trend tools for investors, asset managers and structured products issuers. Themes & non-equity asset classes covering fixed income, emerging markets, healthcare, alternative energy, private equity and more.